In May 1973 a well loved black swan of the Yarra River "Cookie" was brutally killed in Flinders Park where he had lived since 1967. He was well known by peak-hour tram drivers and motorists who stopped nightly in Batman Avenue to let him waddle across the road. Council workers said "He used to follow us around like a lamb. We`ll all miss him." Cooky was strangled with a necktie and had both his wings and a leg torn from his body." After allegations that the Police didn`t take animal crime seriously, the Chief Police Commissioner, Mr Jackson intervened. He took a personal interest in the case as the police had received numerous calls about the swan`s death. He ordered a full investigation. Three unemployed men had been discovered mutilating Cooky and one was charged with cruelty to an animal and killing native game "during the closed season". The charge of cruelty was later dropped. 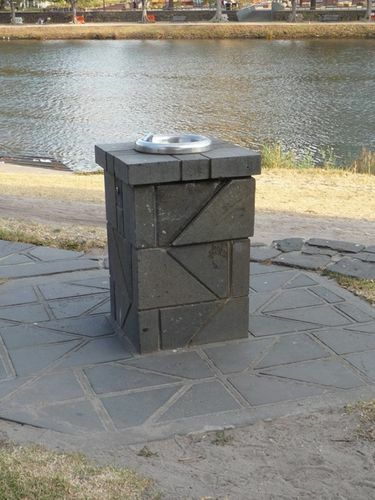 To appease public sentiment over the incident it was decided to erect a small drinking fountain to Cookie`s memory.